In March 2019, just before the Cheltenham Festival and after many, many months of analysis, we tweaked our selection method. 2. 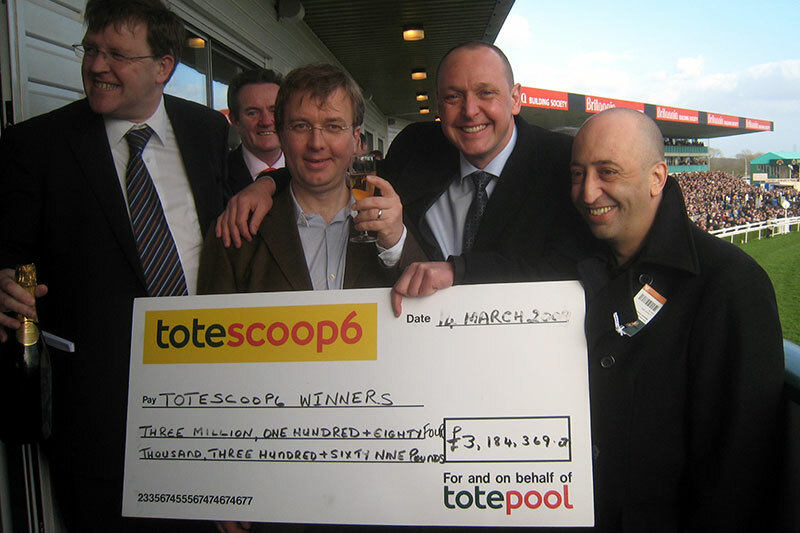 Based on past results using the revised method, we should see 25% more Scoop6 race winners and a 364% increase in the number of Place Fund wins. 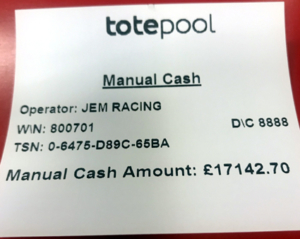 14 MARCH 2019 – WE WON THE SCOOP6 JACKPOT (AND A SHARE OF THE PLACE FUND) ON DAY 3 OF THE CHELTENHAM FESTIVAL AT THE HUGE ODDS OF JUST OVER 26 MILLION TO 1 AND OUR PERM ODDS OF 31,680/1 WITH A STAKE OF JUST £1440, THE £198,340 WIN WAS SHARED WITH 11 OTHER TICKETHOLDERS.